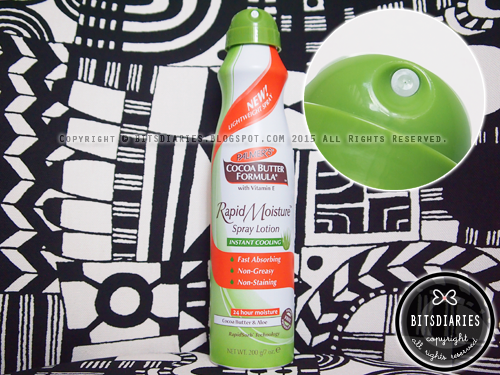 Palmer's have recently launched the new range of innovative moisturizing spray lotions and I have here with me one of their new products called "Rapid Moisture Spray Lotion for Instant Cooling"~! 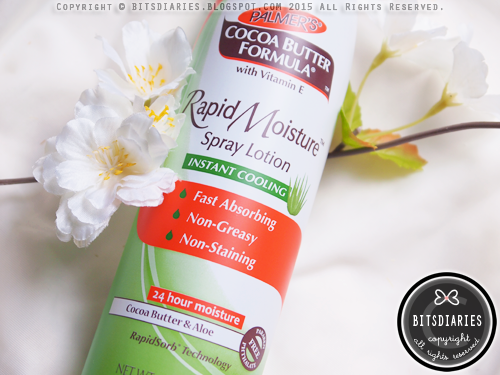 The key ingredient for Rapid Moisture Spray Lotion Instant Cooling is obviously Cocoa Butter, which is their No.1 formula and nature’s superfood for the skin! 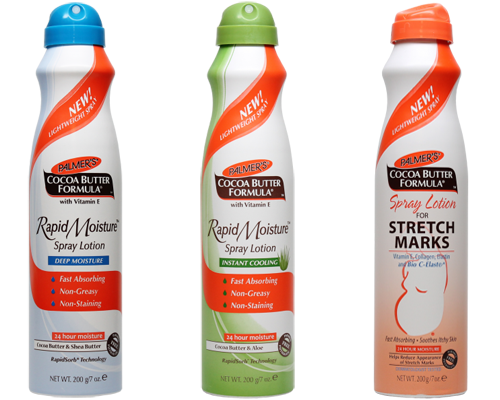 Cocoa Butter is a rich natural moisturizer that leaves skin soft and silky, tranforming even the roughest, driest areas into buttery soft skin. Other than Cocoa Butter, it is also formulated with Vitamin E, which is a powerful antioxidant that helps improve the appearance of scars, stretch marks and imperfections on the skin, giving a more even and toned appearance; and Aloe which helps to cool and soothe the skin. 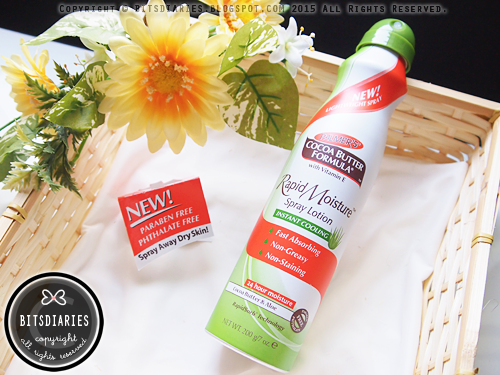 Combined these ingredients together, it provides instant cooling and 24-hour lasting moisture. 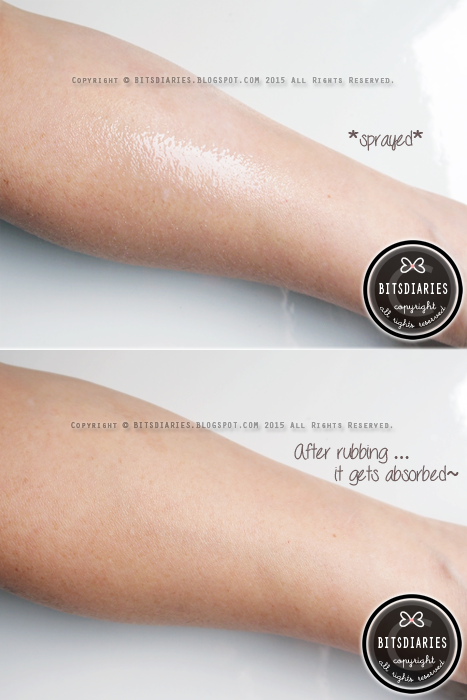 It utilizes a unique delivery system - Rapidsorb ® Technology, which is non-aerosol based and uses NO propellants to deliver fine sprays, allows the lotions to be absorbed into the skin within seconds leaving skin soft, smooth and refreshed! With it's super-lightweight, non-greasy and non-staining formula, it allows you to get dressed in a jiffy! Crafted especially for use “on the go”. Plus, it is free of parabens and phthlates. Dermatologically and clinically tested. If you are planning to bring it wherever you go, you don't have to worry about leakage or accidental sprays in your bag because the cap has a built-in locking mechanism! 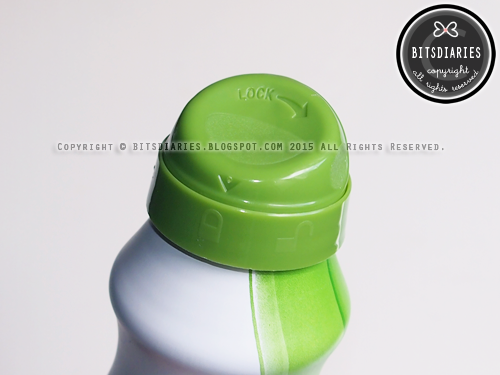 The SPRAY lotion is designed for quick and easy application hence, the application is a piece of cake and hassle-free! All you need to do is to twist and unlock the nozzle cap, hold the can 3-4 inches (7-10cm) away from skin and spray in a continuous motion. Then, rub gently into skin and voila!, you're done. The moment I sprayed the lotion on my skin, I felt a slight cooling and soothing sensation which lasted for a short while. After rubbing the lotion evenly into my skin, it absorbed quickly, leaving my skin moisturized, refreshed and softer to the touch without any greasiness or staining. Therefore, I concluded that it does deliver instant relief, refreshment and provide a decent hydration to the skin even on the hottest days! By the way, it has a hint of chocolate scent and the scent lingered on my skin for a couple of hours, which to be honest, I'm not really fond of. Well..., I like chocolate however, I don't like nor want to smell like chocolate. So if you like to smell sweet and delicious, you might like this more than I do. On the downside... I found the dispenser nozzle will get clogged up after several spritz, but this isn't an irreparable issue because you just need to rinse the dispenser nozzle under warm water and it will get unclogged. 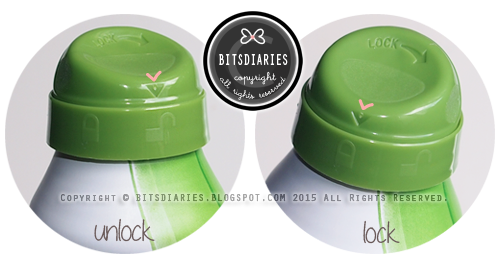 Other than that, the size of the spray lotion is quite big hence, I don't think it is very travel-friendly. Overall, despite the downsides, I think this lightweight, instant cooling spray lotion would be a great item for Summer and hot days! Palmer’s Rapid Moisture Spray Lotion for Instant Cooling is now available at Watsons, Guardian, Fairprice, BHG, Robinsons, John Little and leading cosmetic stores at the price of SGD$17.90 (200g).